Living with an anxiety disorder while you are pregnant adds stress to an already challenging time of your life. In the case of generalized anxiety disorder (GAD), chronic worry associated with the disorder may prevent you from enjoying the experience of being pregnant—from the time you find out until long after your baby is born. If you find yourself experiencing chronic worry that feels out of your control, consider mentioning how you are feeling to your doctor or other healthcare professional. We know that about 6 percent of the population will experience GAD over their lifetime, and during any year, about 1 to 3 percent of individuals will be living with GAD. The disorder is twice as common in women as men, which makes it particularly relevant to pregnancy. The rate of GAD during pregnancy has been shown to be in the range of 8.5 percent to 10.5 percent. However, the disorder tends to go underdiagnosed and may be difficult to tell apart from normal worrying. Along the same lines, a woman who was always a worrier may develop GAD during pregnancy, possibly related to changes to do with hormones, mental state, and social obligations (e.g., leaving work, preparing for raising a family). A 2011 study showed that anxiety symptoms tend to be highest in the first trimester and decrease throughout the pregnancy. However, many women have GAD overlapping with other disorders such as depression, which can make them, and their unborn children, extremely vulnerable. A 2015 longitudinal study of women with major depressive disorder and GAD showed that those with had GAD in addition to depression had a poorer quality of life and experienced more persistent worry. 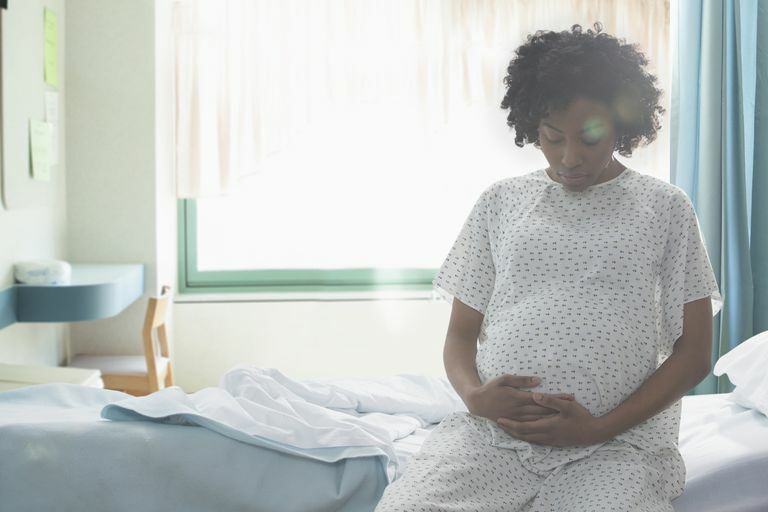 Untreated GAD may lead to pregnancy complications such as low birth weight, preterm delivery, high blood pressure, problems with neurodevelopment of the baby, and failure to progress during labor. Once your baby arrives, you may also have trouble managing the demands of a newborn and developing a bond with your baby. Psychoeducation is important in early stages and during diagnosis, to help reduce denial and stigma and lead to successful treatment. Therapy such as cognitive-behavioral therapy (CBT) is most often used on its own in mild cases of GAD or in combination with medication in more severe cases. CBT may involve cognitive restructuring, exposures, relaxation training, and mindfulness therapy. Medication may be used in more severe cases. Typically a selective serotonin reuptake inhibitor (SSRI) (e.g., Prozac, Cipralex) would be prescribed. Benzodiazepines may be used for the short-term management of anxiety. Support is also an important component of coping. If you have GAD and are pregnant, seek out support from family, friends, and the community to help you cope. Can I Take Medication for GAD While Pregnant? If you have GAD and are pregnant, you may wonder whether it is safe for you to take medication. While this decision is best left to your doctor, typically medication is prescribed when the benefits are thought to outweigh the risks. In other words, if you suffer from crippling anxiety that will almost certainly negatively impact your pregnancy, medication may be a good option. SSRIs do cross the placenta but are considered reasonably safe during pregnancy. Babies of mothers who took SSRIs during pregnancy may suffer from neonatal adaptation syndrome, with symptoms such as jitters, trouble feeding, and irritability. This problem is seen in about 10 to 25 percent of newborns exposed late in pregnancy, but it should resolve in 3 to 7 days. If you've taken benzodiazepines regularly during pregnancy, your baby will also be monitored for side effects of the medication. You may also wonder about breastfeeding. Certain SSRIs have a low concentration in breast milk—so breastfeeding while on these medications may not be contraindicated. However, the long-term effects of these drugs on the developing child is still not fully known. You should weigh the potential benefits and risks with your doctor. You may simply wonder whether it is responsible to become pregnant if you have GAD. When successfully treated, there isn't any reason why a woman with GAD should not have children. Make a plan with your doctor on how to manage symptoms if they arise and be in contact on a regular basis to keep your anxiety in check. BC Children's Hospital. Generalized Anxiety Disorder. Buist A, Gotman N, Yonkers KA. Generalized anxiety disorder: course and risk factors in pregnancy. J Affect Disord. 2011;131(1-3):277-283. doi:10.1016/j.jad.2011.01.003. Goodman JH, Chenausky KL, Freeman MP. Anxiety disorders during pregnancy: a systematic review. J Clin Psychiatry. 2014;75(10):e1153-1184. doi:10.4088/JCP.14r09035. Misri S, Abizadeh J, Sanders S, Swift E. Perinatal Generalized Anxiety Disorder: Assessment and Treatment. J Womens Health (Larchmt). 2015;24(9):762-770. doi:10.1089/jwh.2014.5150. Misri S, Swift E. Generalized Anxiety Disorder and Major Depressive Disorder in Pregnant and Postpartum Women: Maternal Quality of Life and Treatment Outcomes. J Obstet Gynaecol Can. 2015;37(9):798-803. doi:10.1016/S1701-2163(15)30150-X.